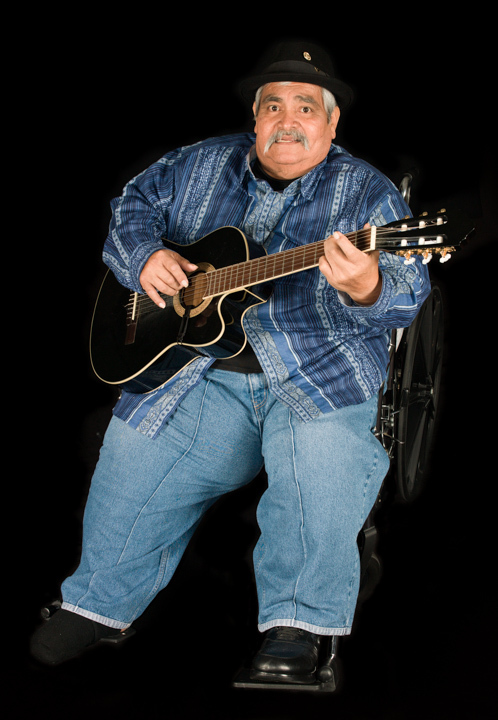 Ramón “Chunky” Sánchez is a native of Blythe, California. His parents were immigrant farmworkers from Mexico, and he joined them in the fields. 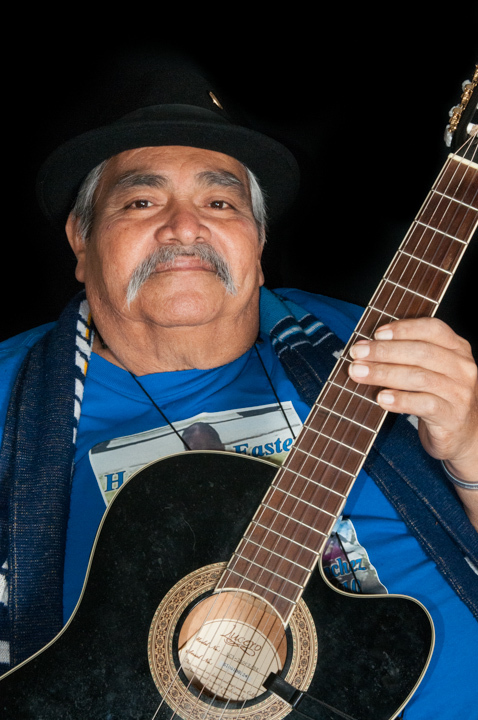 He learned traditional Mexican music from his mother and uncles. 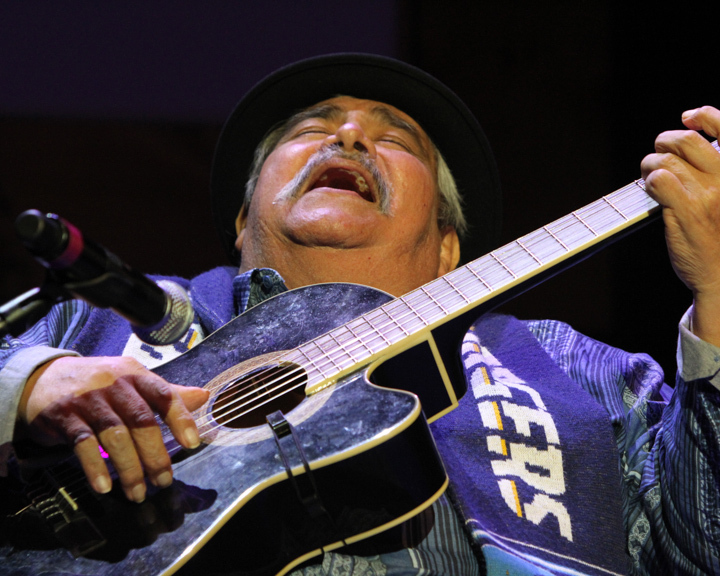 As a teenager, he became involved in the farmworker organizing movement and marched with union leader César Chávez, who often asked him and fellow musicians to perform at union events. 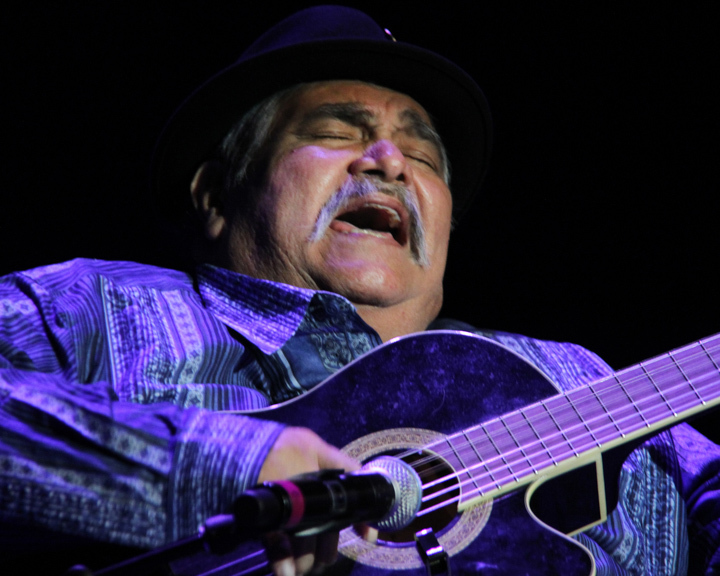 After enrolling at San Diego State University in 1969, Sánchez joined La Rondalla Amerindia de Aztlán, which included both students and professors and became the voice of the Chicano movement. The following year, the community rallied to oppose a planned California Highway Patrol substation on a patch of land under the Coronado Bridge. 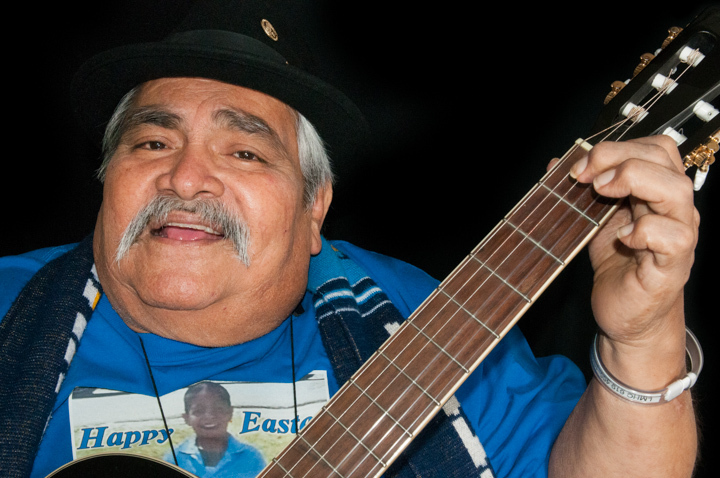 Sanchez took part in the takeover of the site on April 22, 1970, which led to establishment of Chicano Park. 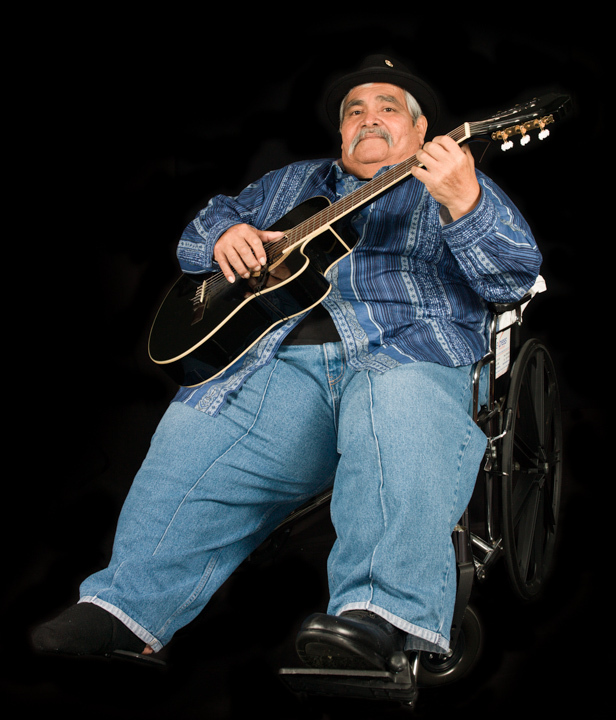 He composed a song, “Chicano Park Samba,” which remains popular to this day. 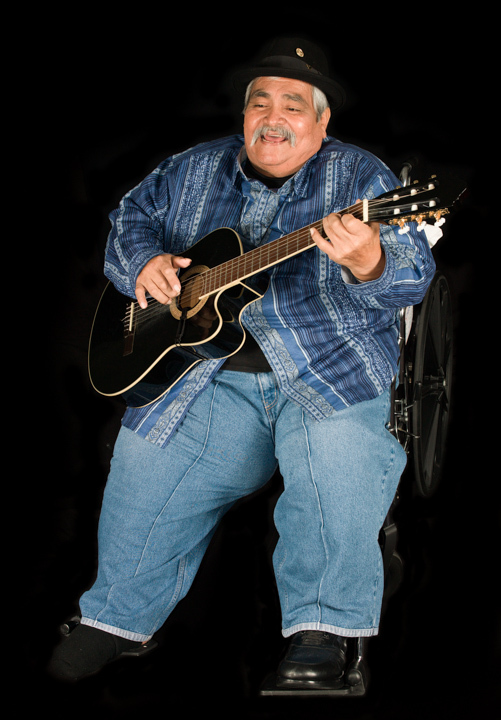 Sanchez, an engaging man who often uses humor to win over an audience, also worked as an actor as a member of the Teatro Mestizo, which was affiliated with the Centro Cultural de La Raza in San Diego. In 1976, with his brother Ricardo Sanchez formed Los Alacranes (The Scorpions), which often performed for United Farm Workers rallies and marches. In 1977, the group joined with Mexico City theater ensemble Los Mascarones to record Levántate Campesino, a rare example of a documented artistic collaboration between Chicanos and Mexicans. Sánchez is a versatile musician who plays ten instruments and can perform in virtually any style. But his role has extended far beyond music. 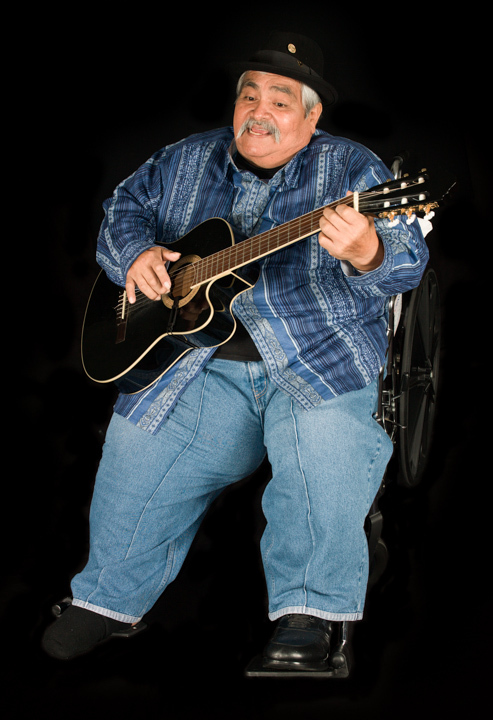 He has been a Little League coach, teacher, youth center director and gang intervention counselor and has been recognized with numerous awards, including the César Chávez Humanitarian Award and several honors from the California Arts Council and the City of San Diego Commission on Arts and Culture. Various artists. 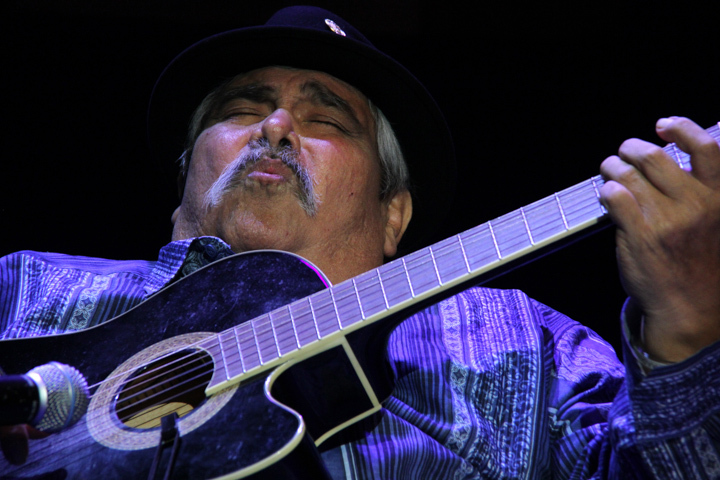 La Rondalla Amerindia de Aztlán: Songs of the Chicano Movement. Smithsonian Folkways CD 40516, 2005. ______. Levatante Campesino, 1977 LP. http://articulo.mercadolibre.com.mx/MLM-475895032-levantate-campesino-lp-varios-artistas-_JM Los Alacranes. Rising Souls. 24/7 Records CD, 1999. ______. Picando! CD re-release of 1989 cassette, Los Alacranes Publishing, 2000. ______. In Good Company. Rebel Ink Records CD, 2003.